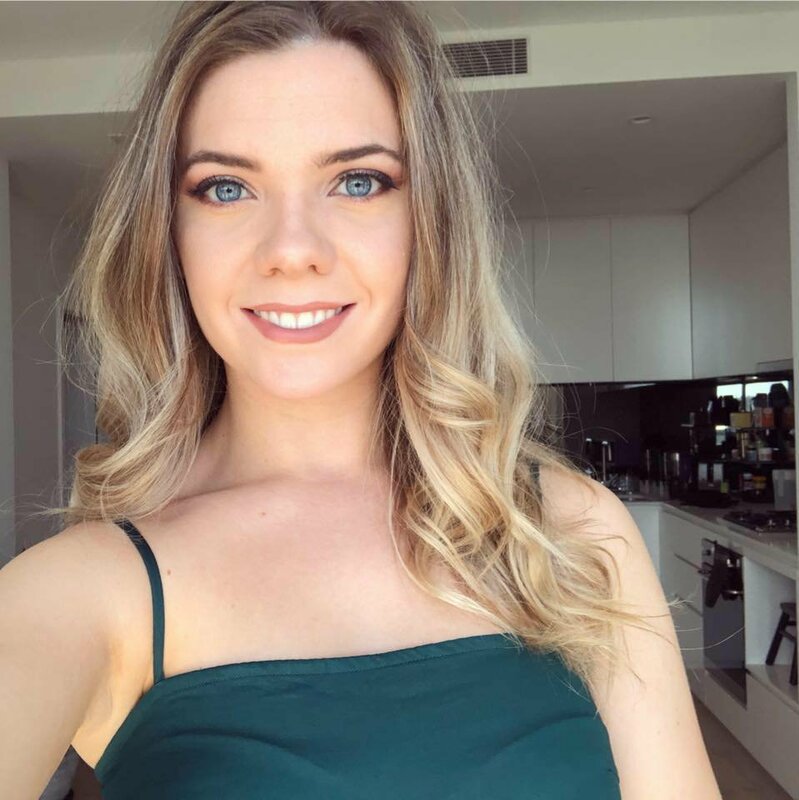 Why Thai Experience really is the Trip of a Lifetime! Thai Experience has it all! Not only will you be covering all the best things to do when travelling Thailand, like discovering Bangkok by Tuk Tuk, Swimming in the crystal clear waters of Khao Sok, cruising the Phi Phi Islands and experiencing beach parties on Koh Phangan. 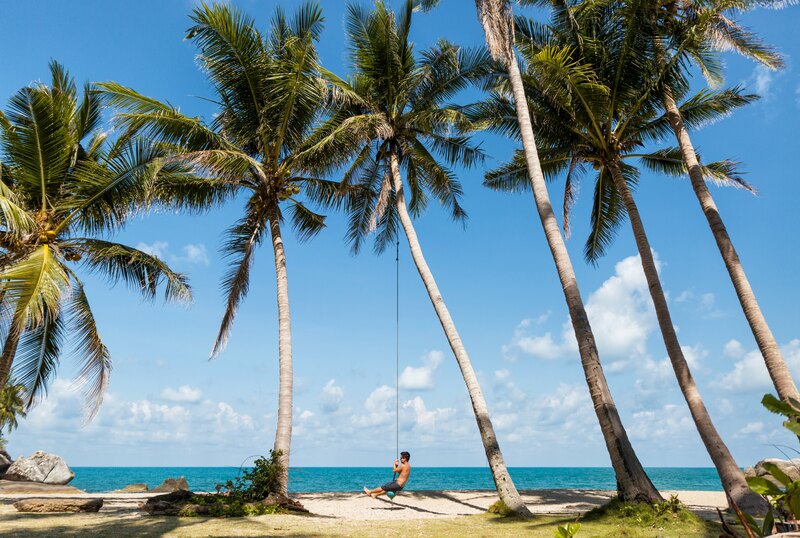 But you’ll also get the benefit of premium accommodation, which includes staying in floating bungalows and tree houses in the rainforest, relaxing at our beach bungalows & watching Phuket sunsets from an incredible infinity pool! Check out the highlights of this amazing trip below! On your first night here you’ll be staying in bungalows that float on the pristine waters of the lake, there’s nothing quite like opening your door in the morning to towering limestone cliffs and jumping in a kayak to explore your dream-like surroundings. 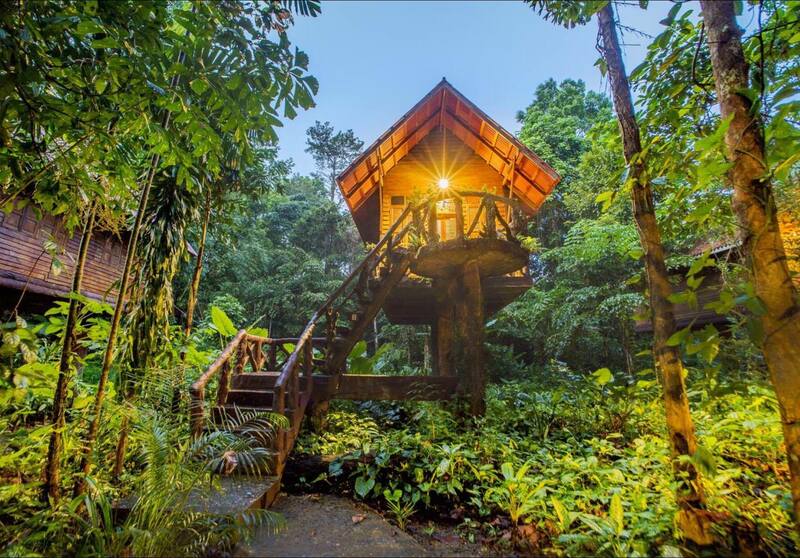 On your second day we’ll head further into the rainforest for jungle trekking, river tubing and a night in some enchanting tree houses! You can't really visit Thailand without experiencing the country's crazy capital, Bangkok. Here you'll discover some of the country's ancient temples, learn to cook traditional Thai food, and experience the hustle and bustle of Bangkok's Khao San Road, made famous by it's incredible street food and unique nightlife scene. 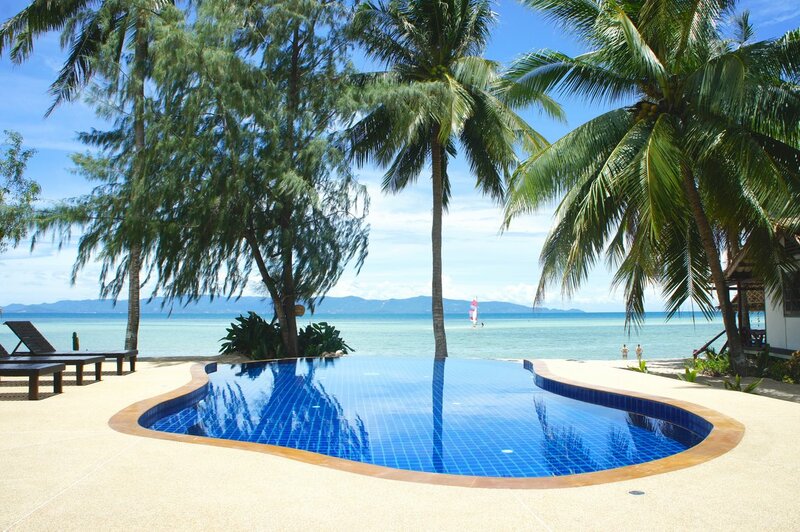 Koh Phangan is home to our beautiful beach bungalows, where you’ll watch the sunset from our infinity pool and wake up in the morning just a single step from the beach. You can also learn the ancient art of Muay Thai Boxing, or if that’s not your thing, take a private Yoga class to wind down. Of course Koh Phangan is where the famous Full Moon beach parties originated, but no worries if one doesn’t fall at the time you’re here, we’ll take you for an equally epic night of fire displays, neon dress and good times down at Haad Rin Beach! 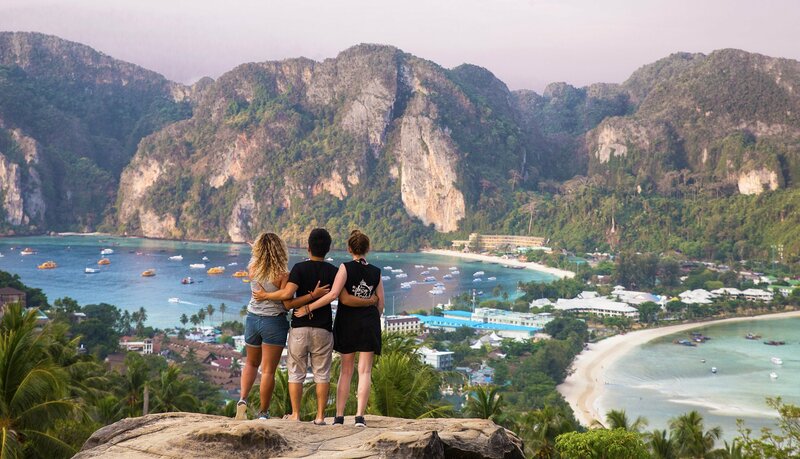 As well as hiking to the stunning Phi Phi Lookout, you'll take a boat trip to explore the islands, and take on Phi Phi’s awesome nightlife! Phi Phi is known for it's beautiful white sand beaches, we'll take you to snorkel with tropical fish, stop at Monkey Beach to make some new furry friends, and even experience snorkelling with glittering bioluminescent plankton when the sun goes down! 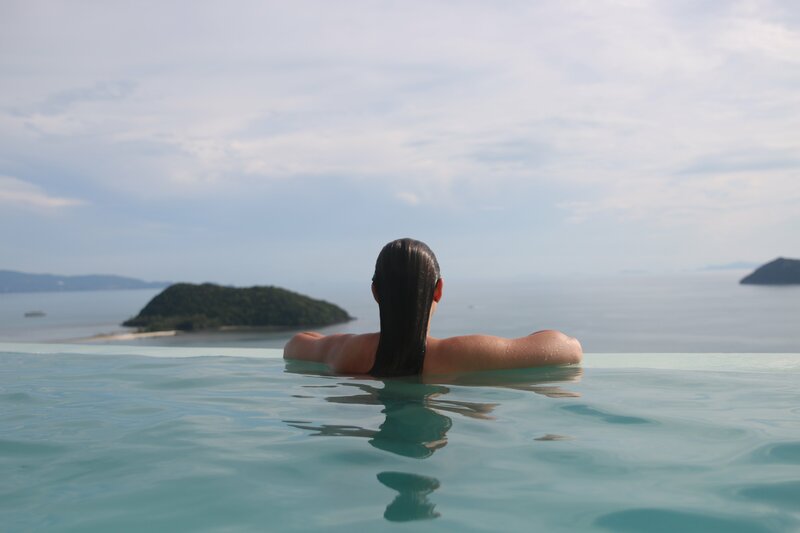 Finally, head over to phuket where you'll stay at a beautiful hotel with an infinity pool that ensures you get the best ocean views! In the morning, we'll take you to an Elephant Sanctuary for an unforgettable day interacting with these amazing animals! Thai Experience is a fully guided group tour, so it's perfect for solo travellers but also great for couples as you get the benefit of double rooms! Be sure to check out the full itinerary (Yes, there’s more!) and start dates here!